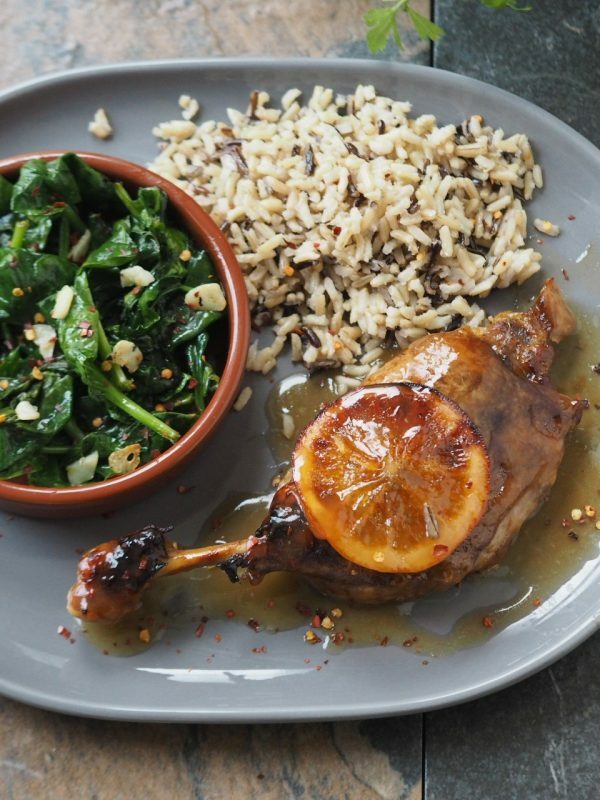 Our Roasted Duck with Oranges Recipe is absolutely delicious, and low in carbs too! Prick the duck skin, but not too far otherwise, the meat gets dry when cooked. In your food processor blend orange zest, orange juice, balsamic vinegar, olive oil and garlic. Pour this over the duck legs and make sure they are well coated in the marinade. Place the duck legs in a roasting tray and pour over any remaining marinade. Place in the oven and cook for about 90 minutes. When cooked, plate with rice and drizzled with remaining marinade from the pan and enjoy.